It is not uncommon to encounter a dead lawn tractor battery at the beginning of lawn care season. 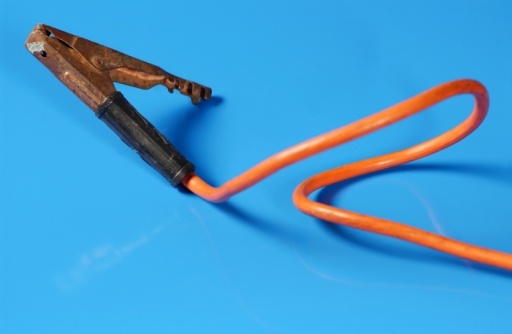 This is particularly likely if the battery cables remained connected to the battery while your lawn tractor was not in use. The good news is that, even if your battery is dead from sitting idle for a few months, recharging it is easily done with the correct type of battery charger. Battery charging should only be done in a well-ventilated area and not in an enclosed space, such as a garage or a three-sided carport. Professional mechanics may at times jump a lawn tractor battery from a car, but this is not a recommended practice for a non-professional. Jumping a lawnmower battery from a car battery can result in the emission of toxic vapors or even cause the battery to explode. Never touch the terminals with your bare hands, and be careful not to bridge the terminals with a tool or any other type of conductor to avoid personal injury or damage to your tractor. A lawn tractor battery operates in the same way as a car battery. The energy it stores is depleted and replenished via an alternator charging unit. Without this, the battery would cease to function after each use almost and require continual external charging. The primary factor for which charger you choose is the voltage of the battery being charged. A typical modern lawn tractor will have a 12-volt battery to match the electrical system. Exceptions include lawn tractors that have been customized or modified by the owner or tractors that predate 1980, which use a 6-volt system and battery. Most battery chargers can handle a range of voltages, and may have a switch to allow you to select the voltage that matches your battery. Your battery charger may also have additional charging options that may include any of the following: Trickle or fast-charging, a "jump" mode, timed charging or a 2-amp slow charge option. The 2-amp charge rate is generally the best option for lawn tractor battery recharging as it allows for a deep, thorough charge. You are advised to always follow the manufacturers specifications, so check your lawn tractor manual before charging your battery in case specific instructions are available for your make and model. When charging your battery, you can leave the battery in its housing in the mower or remove the battery. Neither option will impact the battery's ability to charge. When connecting the battery to the charger, attach the charger cables to the battery prior to plugging the charger itself into an outlet. The positive cable is hooked up first and can be identified by its red color and a (+) symbol. The negative cable is black with a (-) symbol and is hooked up second. Set the charge rate on the charger, then plug the charger into the electrical outlet. Newer chargers may beep when charging or illuminate a light when charging is complete, but many need to be manually monitored and timed. 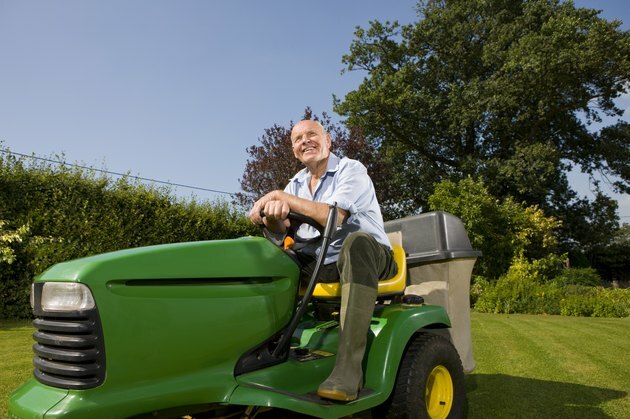 Generally, a lawn tractor battery can be recharged in four to six hours. If the charger has an off switch, turn that off and then unplug the unit from the outlet once charging is complete. If there is no off switch, skip directly to unplugging the charger from the outlet. Wait a few minutes for any gasses that may have accumulated around the battery to disperse before first unclamping the negative (-) and then positive (+) cables from the battery. You may then hook the battery back up the lawn tractor. Connect the positive (+) first, then the negative (-) cable. 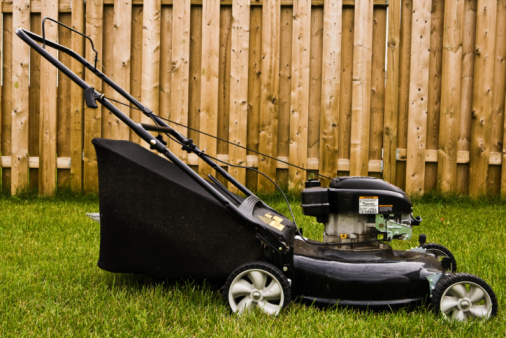 Once your battery is charged, you should be able to resume use of your lawn tractor. In some cases, your tractor battery will fail to hold a charge. This could mean that the battery is too old, that there is a parasitic electrical drain, such as a bad alternator, or that something that draws power has been left on or is not turning off for some reason, causing the battery to drain.